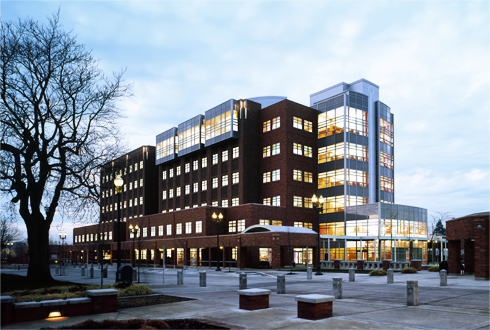 The Public Service Center thoughtfully uses design elements from adjacent buildings to unify a vital downtown civic center. Carefully proportioned, the building speaks to the county’s 1940’s art deco style while embracing modern elements, creating a dynamic relationship to existing buildings while maintaining its own significant identity within the campus. The building’s location takes full advantage of site assets to maximize southern exposure and views of the river across to downtown Portland. Significant site elements reinforce the campus feel; including a large public plaza with both formal and informal gathering spaces, raised planter boxes with seating, a public podium, outdoor seating for the ground floor café, gazebo, entry pavilions, and covered walkways. 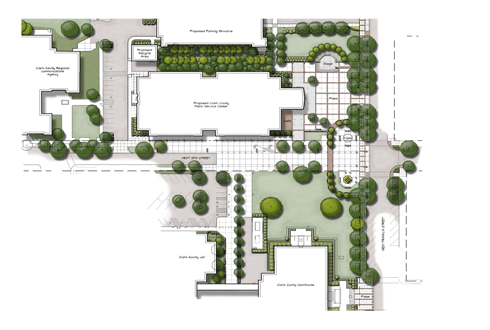 The site also provides space for future growth to share the plaza as a common entry court. Interior elements focus on craftsmanship through the judicious use of simple details and rich natural materials. 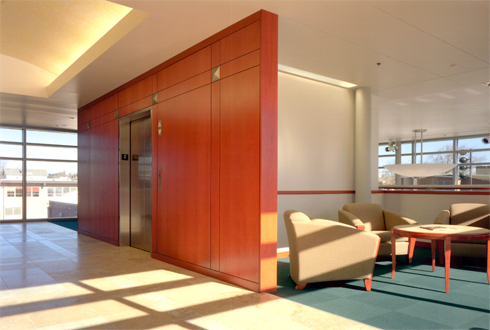 Limestone in the lobbies and wood accents throughout the building add warmth and character. 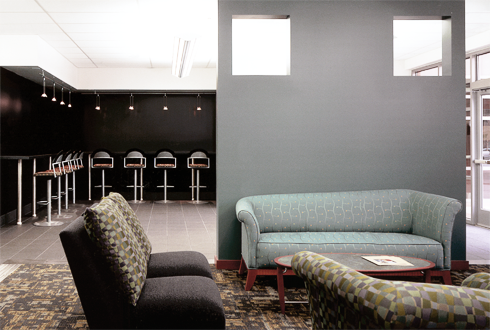 The main lobby's two-story space draws visitors into clearly defined circulation zones. 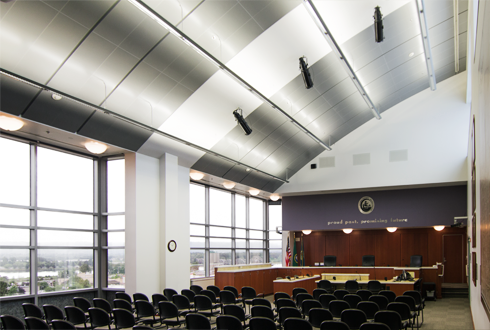 Natural light is introduced both vertically and horizontally into all tenant spaces, as well as circulation and core areas. 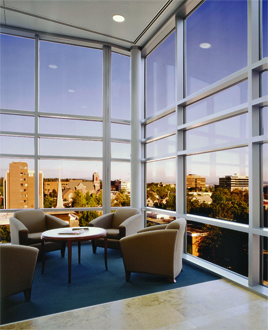 The public meeting rooms on the top floor have generous volumes and spectacular views.